When I hear Marvel, I get shivers down my back because to me, that means another iconic superhero movie is coming! And it is! Have you heard yet? Marvel studios has begun production on the 2nd instalment of Captain America. 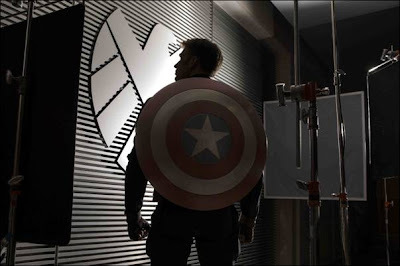 Marvel’s Captain America: The Winter Soldier has started principal photography in preparation for it's April 4, 2014 release. In less than a year, we'll be seeing Captain America again! They will be filming in Los Angeles, California mainly with some production in Cleveland, Ohio and Washington, D.C. How exciting! Directing the film is the team of Anthony and Joe Russo (“Welcome to Collinwood”) from a screenplay written by Christopher Markus (“Captain America: The First Avenger”) & Stephen McFeely (“Captain America: The First Avenger”). Chris Evans returns as Steve Rogers/Captain America. We'll also be seeing Scarlett Johansson return as Black Widow and Samuel L. Jackson as Nick Fury. New additions include Robert Redford as Agent Alexander Pierce, a senior leader within the S.H.I.E.L.D. organization. The storyline for Captain America: The Winter Soldier picks up where Marvel’s The Avengers left off. Remember how Captain America was found frozen in the ice and he ran out into the busy streets, unsure of what was going on in the modern world? The Winter Soldier depicts Steve Rogers' struggles to embrace his role in the modern world. Added to that challenge is a powerful enemy in present-day Washington, D.C. He must team up with Natasha Romanoff, aka Black Widow, to win this battle! 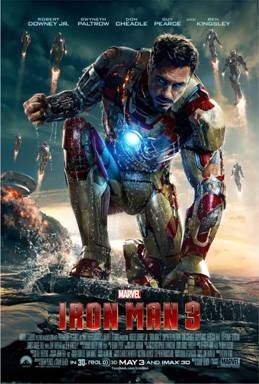 Marvel has some amazing films coming out this year: Iron Man 3 on May 3, 2013 and Thor: The Dark World on November 8, 2013. Speaking of Iron Man 3, take a look at this new clip where "Tony Calls Out Mandarin".